It was a sad day for us when Pastor John Lim Thuan Woon entered into the joy of his Master on 26 March 2018. Having only recently enjoyed a wonderful time of fellowship with him during the 2018 Thai Annual Meeting in Chiang Mai, we were sad to lose a dear brother and faithful servant of the Lord. 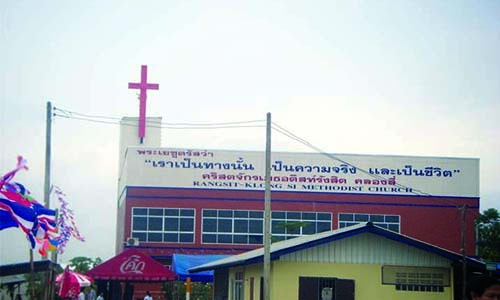 The late Pastor Lim was appointed as a supply pastor at Rangsit Methodist Church, Thailand, in 2005. A warm and generous man, he served with a heart always on fire for Christ. His service, especially in reaching out to people from all walks of life, both young and old, was testimony to his love for God. 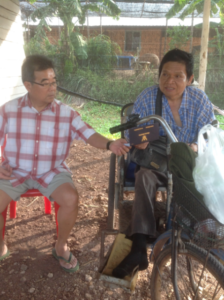 He was especially passionate for the work of the Lord in Thailand and loved its people. 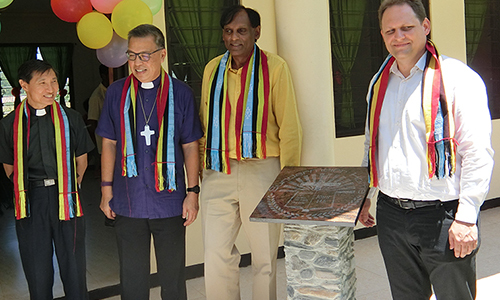 He tirelessly and caringly established many ministries – Chaiyaphum, Wang Nam Keow, , Mae Sot, and Phuket. It was in these ministries that Pastor Lim mirrored the early apostles in going wherever the Macedonian call was heard. Neither distance nor language were barriers to his passion to share the saving grace of God. Indeed, he worked with the fervour and vigour of a young man, soaring high on wings like an eagle. His passion to evangelise was matched by the geographical span of his work (bottom pic). Pastor Lim would do 8- to 10-hour-long drives, just to visit his flock. The many who looked forward to his visits attest to his impact on their lives. Pastor Lim was not ordained, but had always wanted to wear clergy robes while conducting the ecclesiastical function in church. He waited humbly and patiently for nearly 20 years until Bishop Dr Chong Chin Chung granted him this special privilege in early March 2018. 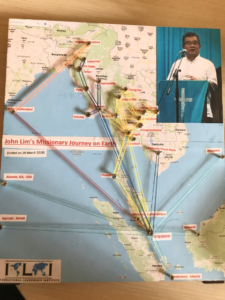 The legacy Pastor John Lim left behind will continue to be an encouragement and inspiration to our missionaries, the Thai pastors, church leaders, and communities he has served. Farewell, Christ’s good and faithful servant. Continue to uphold Pastor Lim’s wife and family in prayer. Pray for the Thai churches, pastors, and leaders to whom Pastor Lim has ministered, that they will continue the good work he started. is on staff with the Methodist Missions Society (MMS) and oversees the ministry in Thailand as the Country Coordinating Officer. He worships at Grace Methodist Church.